Yuan Tian and Elizabeth Lipke of the Department of Chemical Engineering received Auburn University LAUNCH funding for “Flexible microfluidic platform for rapid production of uniform cell-laden hydrogel microtissues.” Pictured, from left, are Tian, Lipke, Larry Fillmer, Auburn executive director of external engagement and support, and Jennifer Kerpelman, Auburn interim vice president for research. 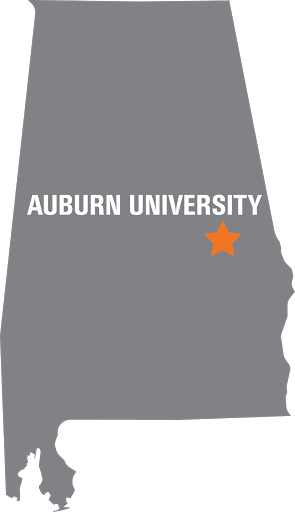 Two researchers in the Samuel Ginn College of Engineering are among three Auburn University teams recently recognized for innovative ideas that could impact not only the economy of the state and region, but its health as well. 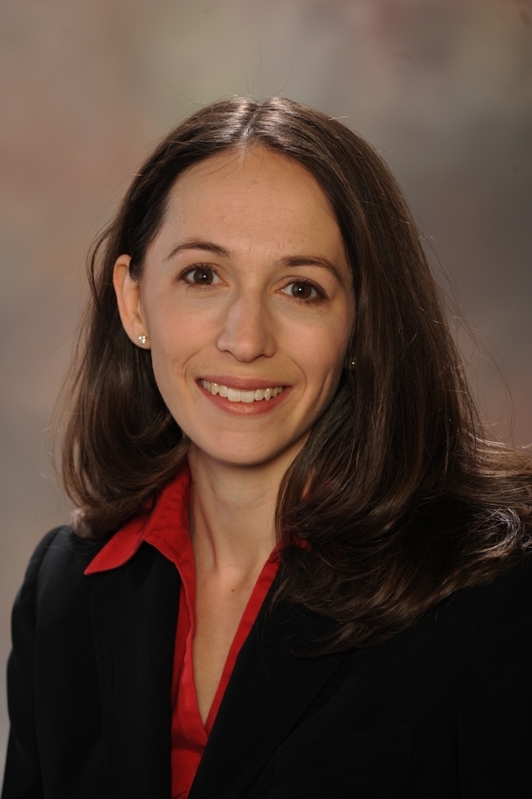 The Office of the Vice President for Research on March 27 presented faculty experts with funds from the LAUNCH Innovation Grant Program in an effort to help move their ideas from the lab to the marketplace. 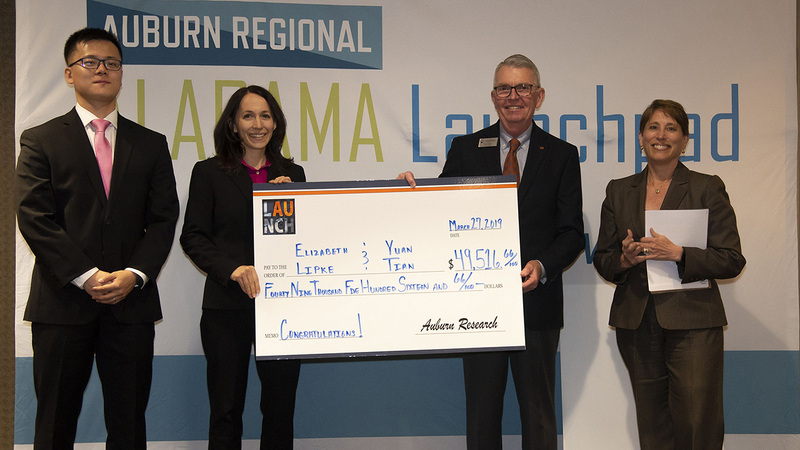 “The LAUNCH program helps bring some of Auburn’s most promising research innovations to the marketplace, for the public good,” said James Weyhenmeyer, Auburn vice president for research. Elizabeth Lipke, the Mary and John H. Sanders Associate Professor in the Department of Chemical Engineering, and Yuan Tian, a doctoral candidate also in chemical engineering, will receive nearly $50,000 toward the commercialization of their “flexible microfluidic platform for rapid production of uniform cell-laden hydrogel microtissues,” a device which can encapsulate human cells to better mimic their natural environment, allowing for more efficient early screening of drug candidates.